For this week's Wedding Cake Wednesday, we are drawing inspiration from a wedding at Aulani, a Disney Resort & Spa. Standing four tiers high, this double sided cake offers up the perfect balance of simple elegance and fairy tale charm. 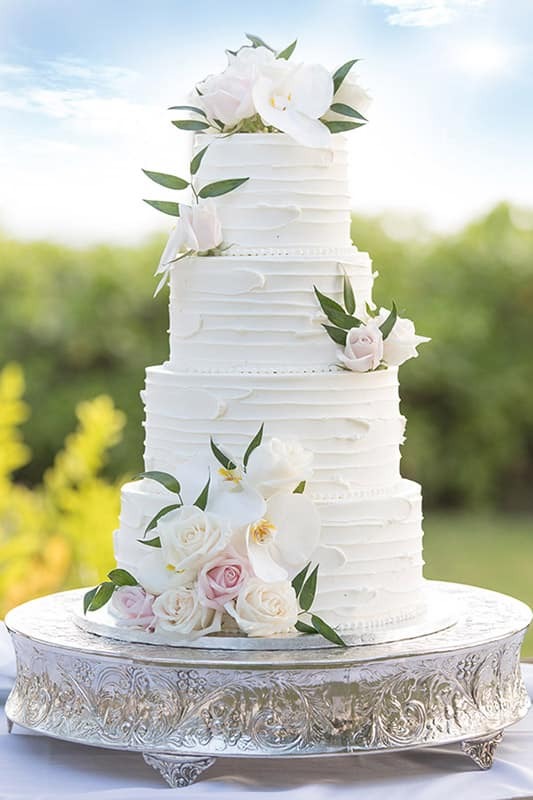 Crisp white icing and luscious floral accents adorn one side for a classic and timeless look, while the other side adds a pop of color and fantasy into the design. 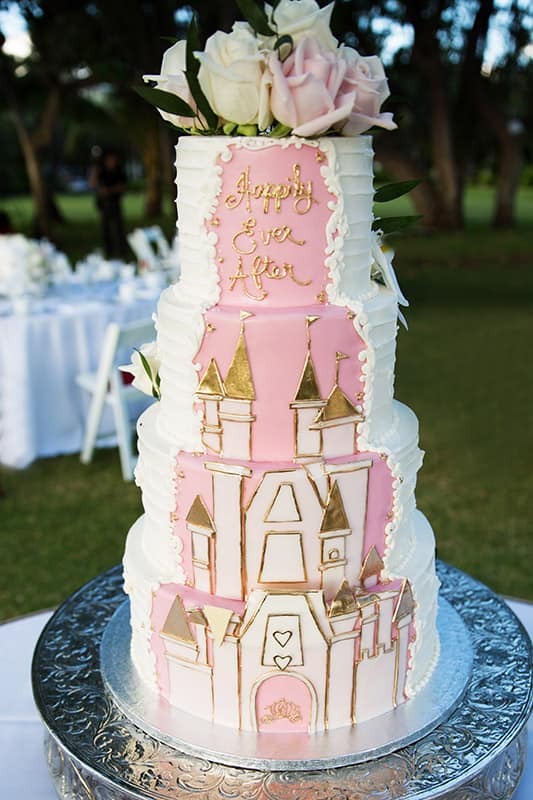 Pink icing, golden details and a one-of-a-kind fondant cut-out castle pull together this truly unique creation.